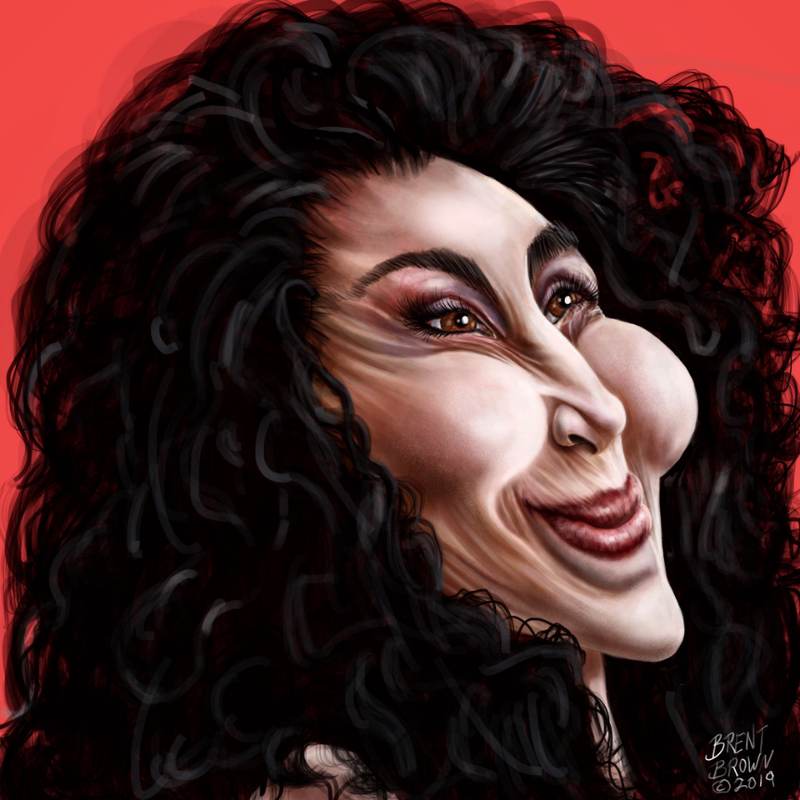 This is Day 28 of Caricature Resolution 2019, and the subject picked for today is Cherilyn Sarkisian, better known as just, “Cher”. 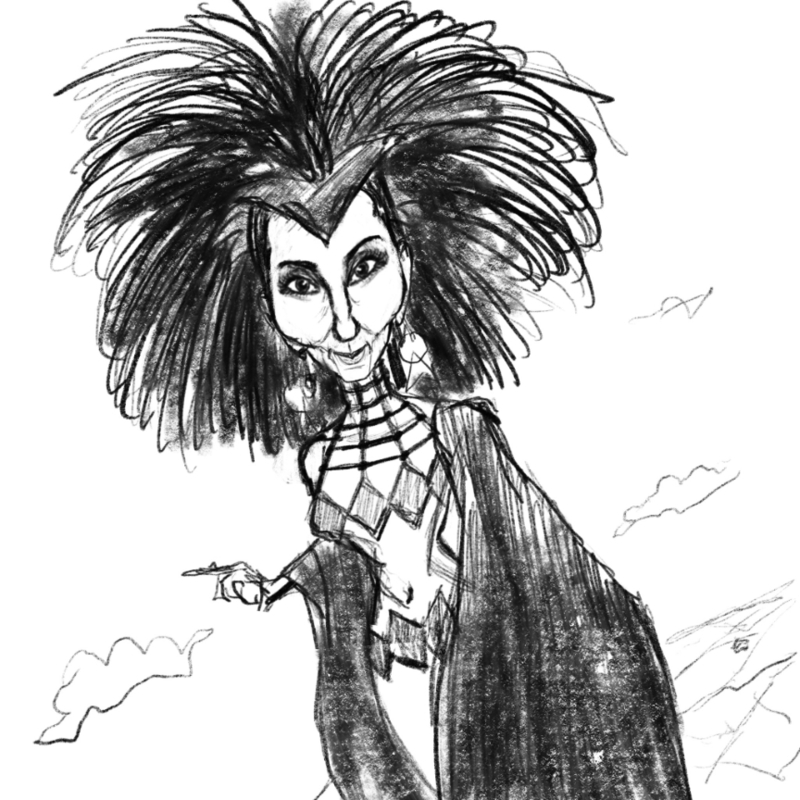 Unused Bob Mackie version sketch. 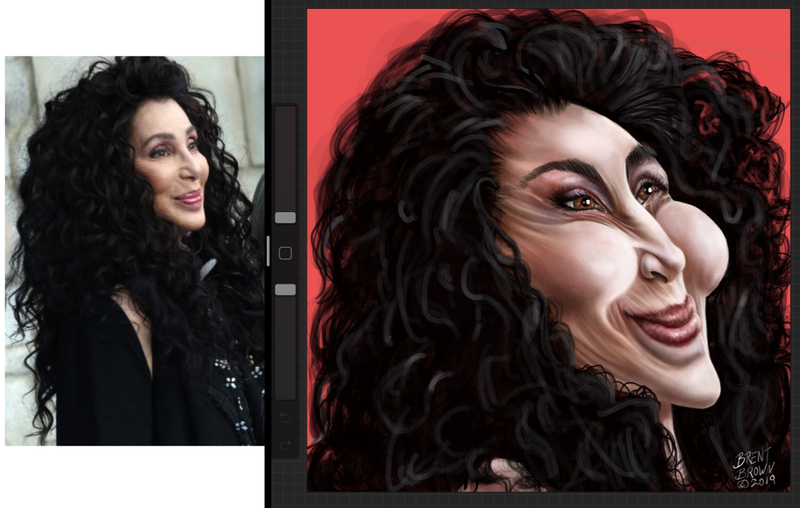 Reference photo from internet in window beside Procreate app screen.